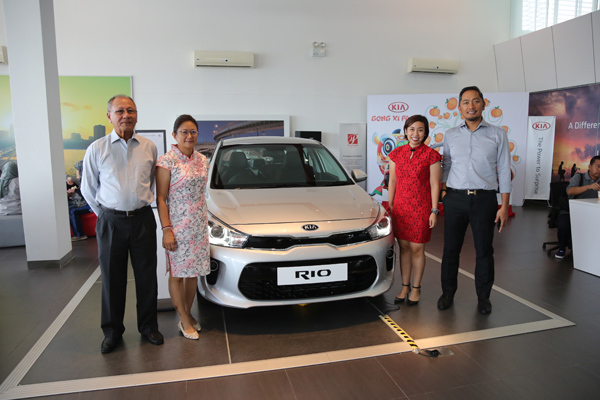 Wong Yee Chiang the grand winner of the Kia Picanto 1.2L GT-Line with Haji Shaiful Rizal bin Pehin Dato Dr Haji Ahmad, Executive Director of Grand Motors Sdn Bhd during the lucky draw presentation at Kia Showroom last Friday. 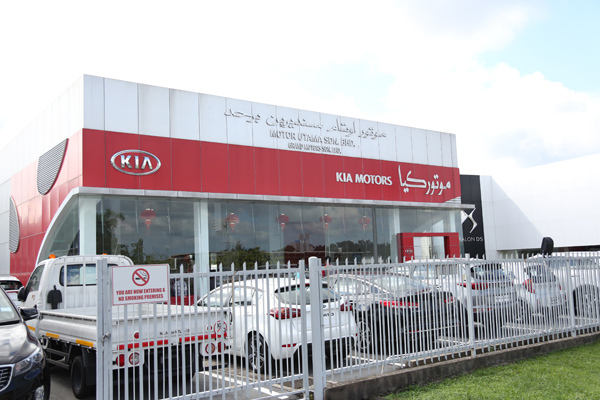 It has been a busy period for Kia Brunei for the past few months. 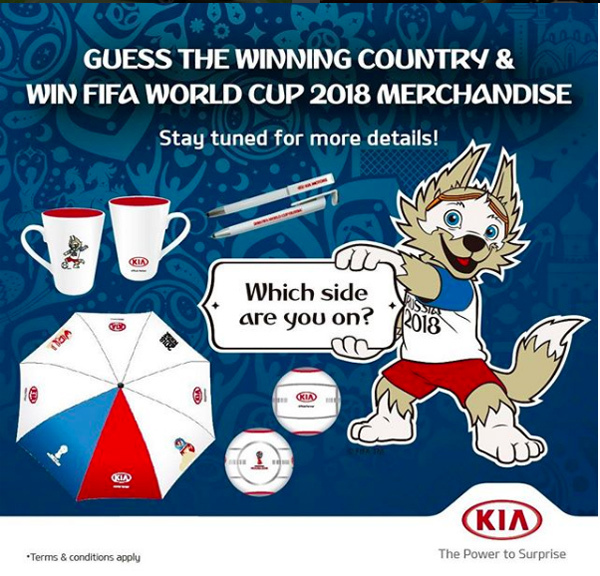 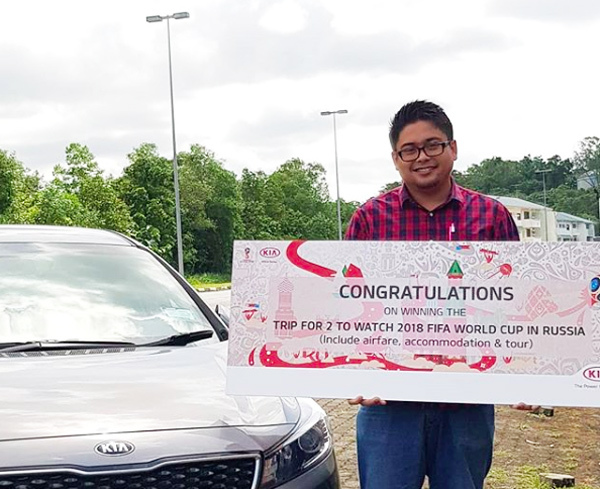 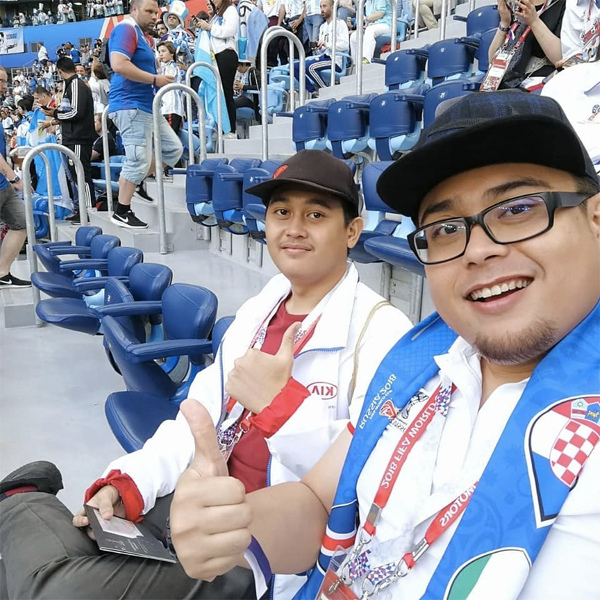 With their recent Hari Raya promotion and also their engaging World Cup promotion, Kia management has been very busy in creating entertainment for the public. 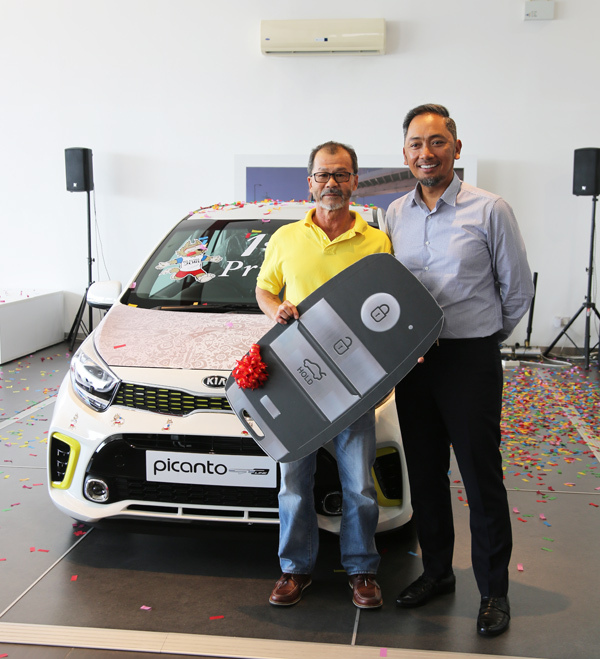 Last Friday, a winner was feted with a grand prize of the latest Kia Picanto 1.2L GT-Line, a model that was launched back in May 2018. 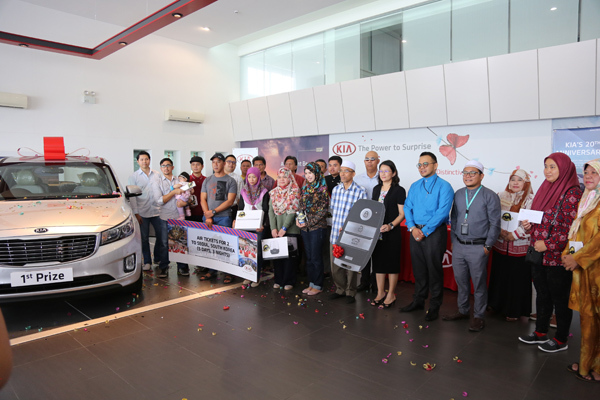 The winner was no other than Wong Yee Chiang who bought himself a Kia Sportage. 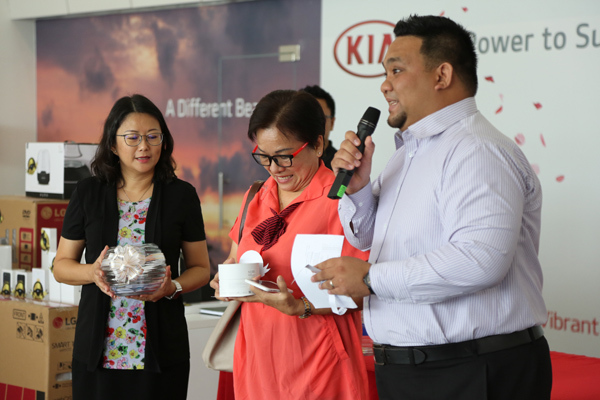 The second and third prize winners were Dahlia Calidro Fajardo and Aldrin bin Benging respectively as they won an Apple iPhone X 256GB and Apple iPhone 8 256GB. 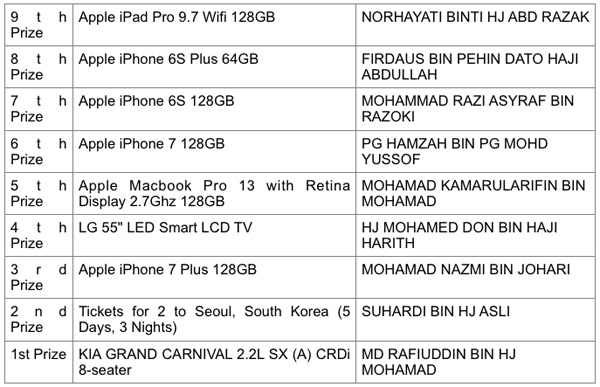 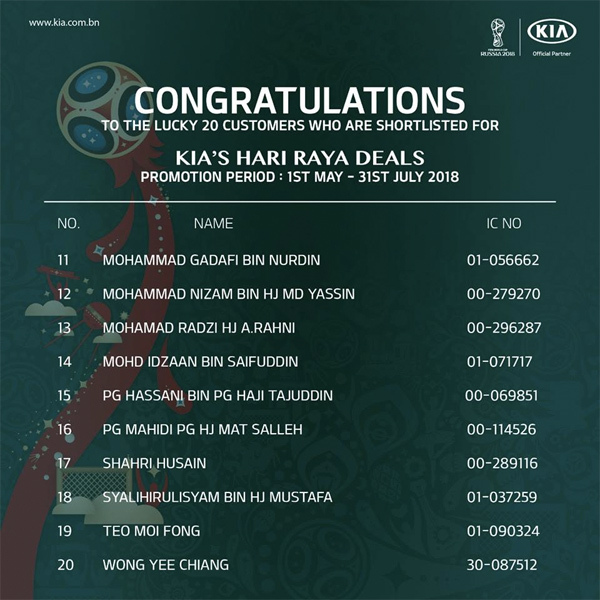 The other consolation winners were Pengiran Mahidi bin Pengiran Haji Mat Salleh (Samsung Galaxy S9) and Shahri Husain (Apple iPad Mini 128GB). 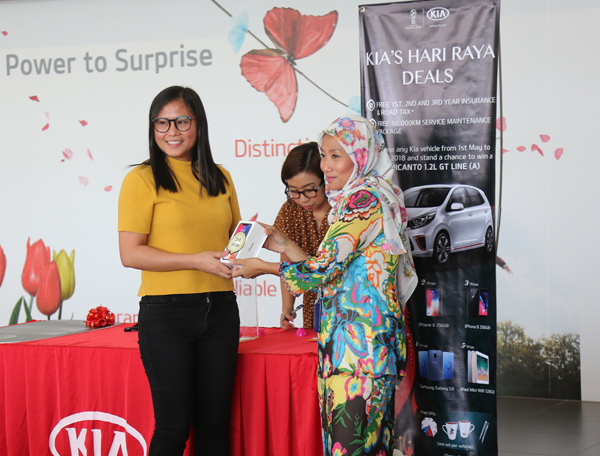 Kia Brunei managed to draw in almost 500 new Kia customers during Kia’s Hari Raya Deals promotion (1st May to 31s July 2018). 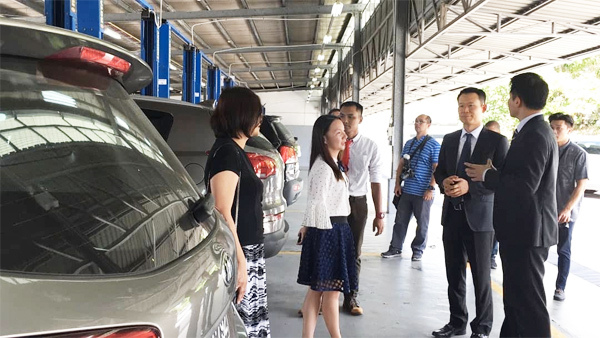 Their promotion also included attractive package such as first three years of free insurance and road tax and on top of that, a free 50,000km service maintenance package. 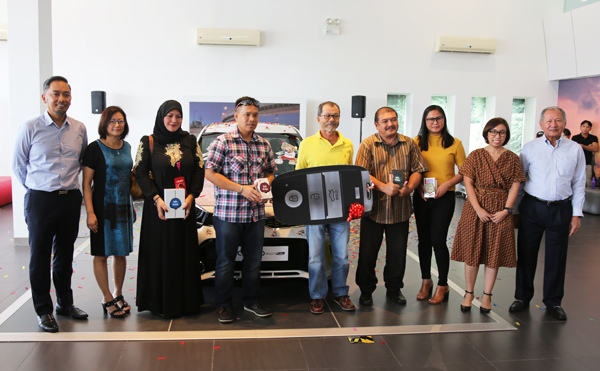 Presenting the prize to Wong Yee Chiang was Haji Shaiful Rizal bin Pehin Dato Dr Haji Ahmad, Executive Director of Grand Motors Sdn Bhd. 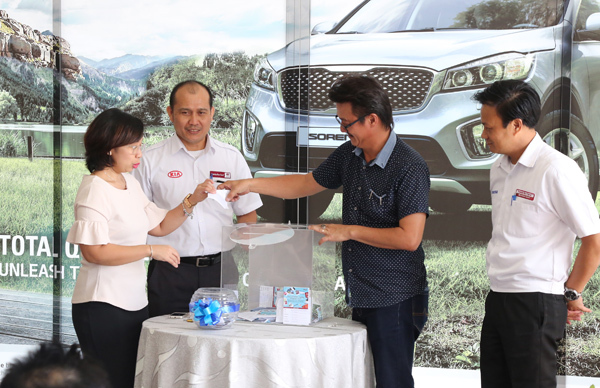 Photos show Baiduri Finance Berhad’s Sales Officer Suwardi bin Haji Abdul Wahab, and BIBD At-Tamwil’s Manager for Offsite Sales Services Mohamad Asmall bin Razali drawing the names earlier this week to determine the top 20 finalists. 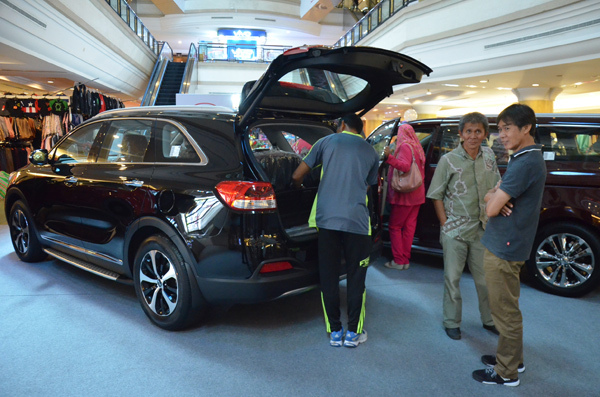 Image courtesy of Bahyiah Bakir of Borneo Bulletin. 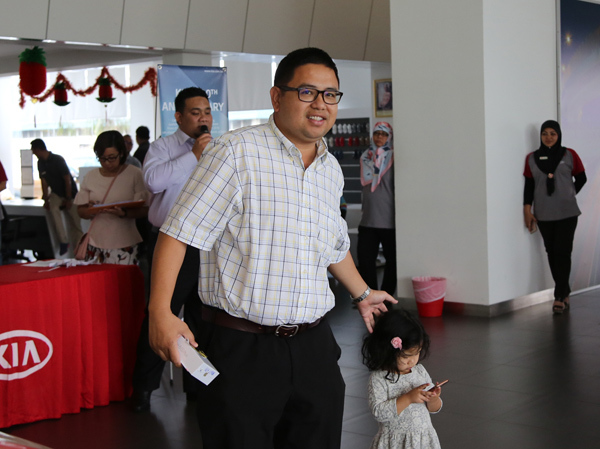 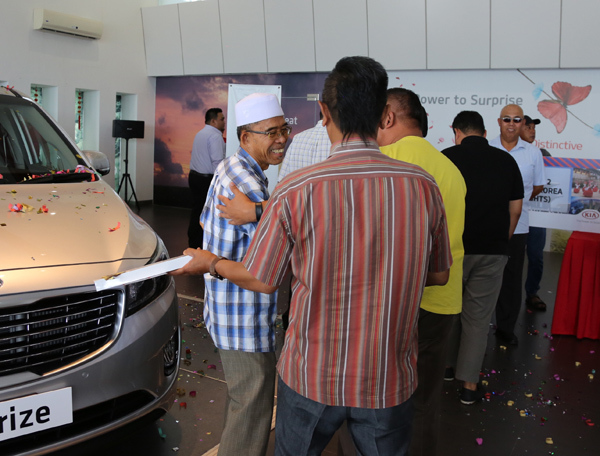 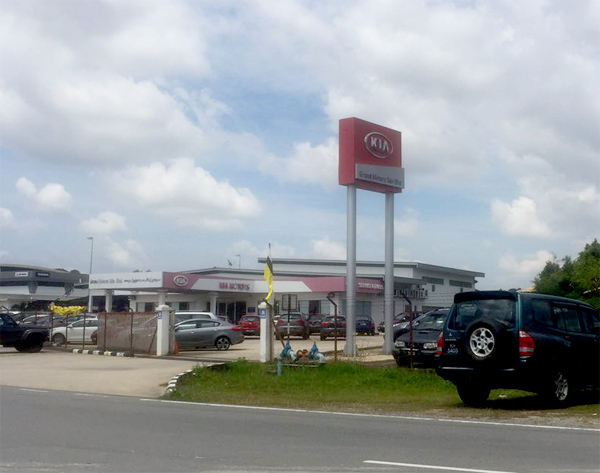 Earlier in July, Grand Motors unveiled their new Kia service centre at Lambak Kanan Industrial Area. 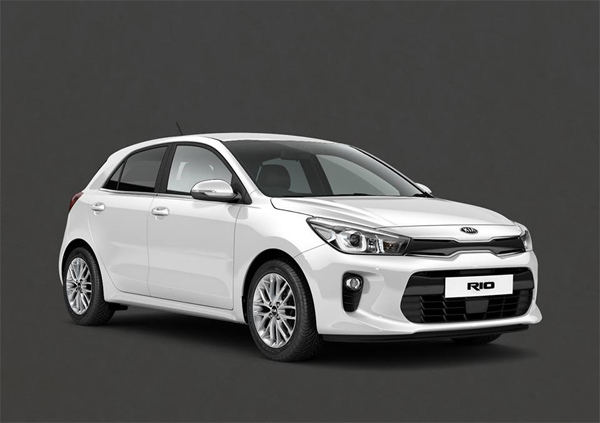 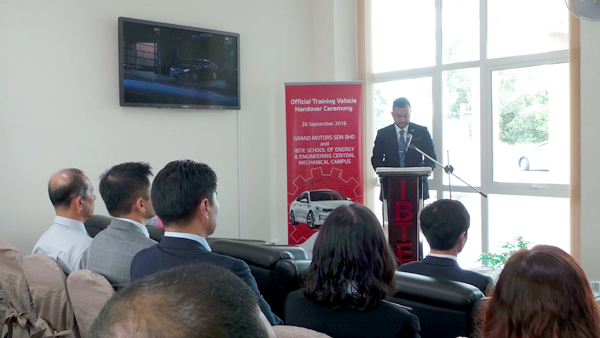 The launch was witnessed by After Sales Manager of Kia Motors – Asia Regional Headquarters JY Lee and Sales Manager of Kia Motors Corporation – Asia Regional Headquarters Joseph Choi. 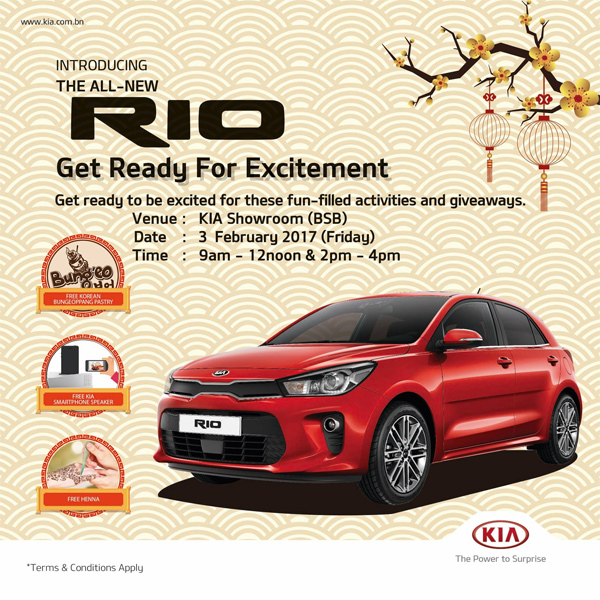 Grand Motors Sdn Bhd, the exclusive distributor of Kia vehicles in the country is inviting you to a world of dynamic driving and more through the 2017 Kia On Tour & Test Drive. 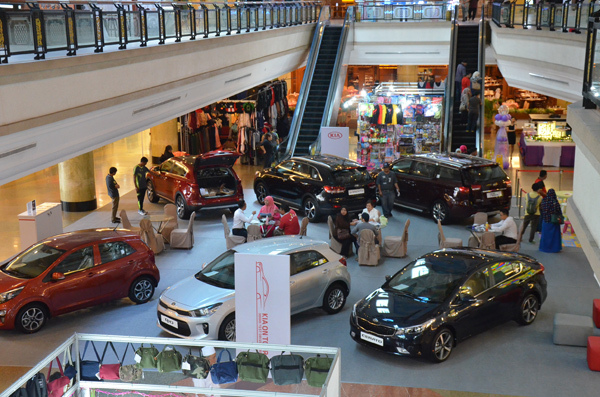 The first leg of this year-long event will be from 10 – 14 May at The Mall, Gadong and the test drive event on 14 May at the SEAMEO-VOCTECH Regional Centre from 9:00AM – 3:00PM. 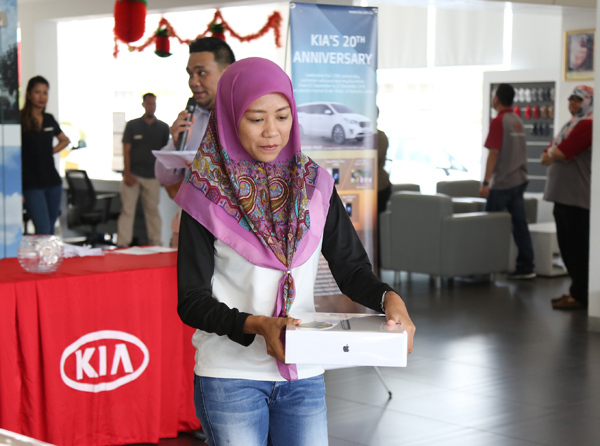 Kia On Tour & Test Drive is on its 4th year now of bringing Kia vehicles closer to its market. 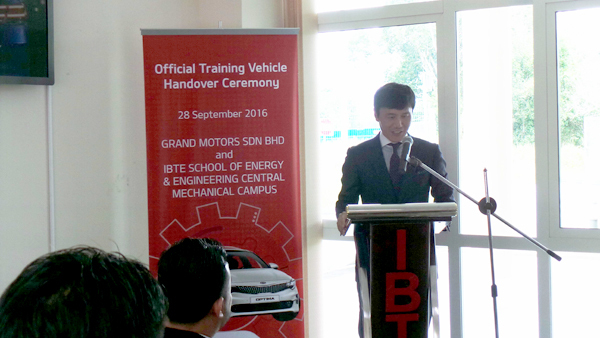 This nationwide tour will commence from May until October 2017. 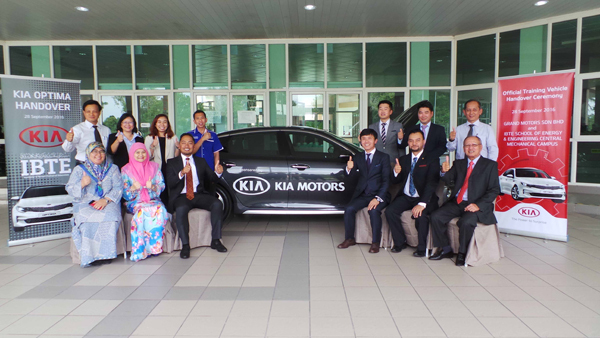 Kia will be visiting different districts in Brunei Darussalam – Brunei-Muara, Tutong and Kuala Belait. 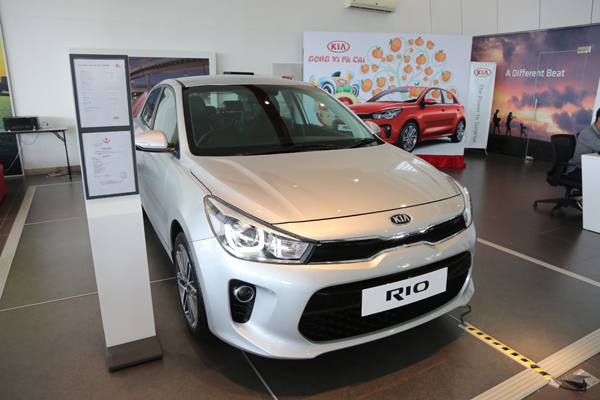 Customers will have the chance to explore Kia’s fun-to-drive vehicles and experience a dynamic driving adventure. 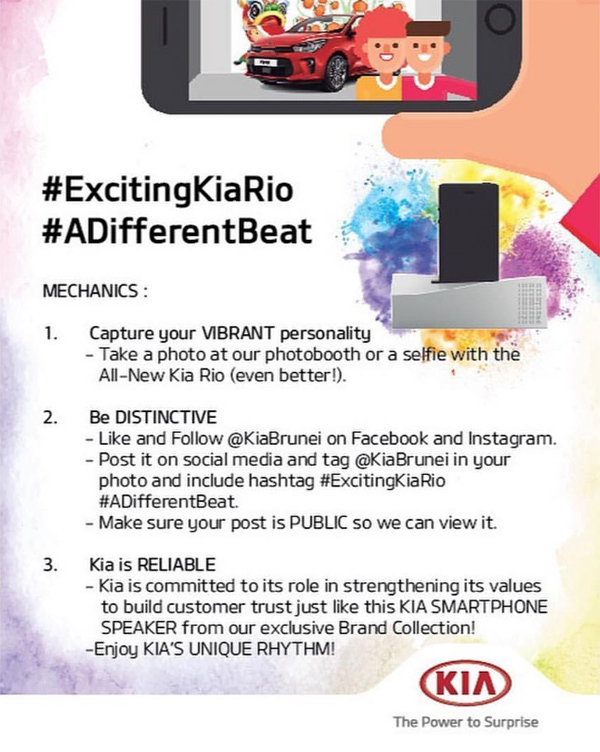 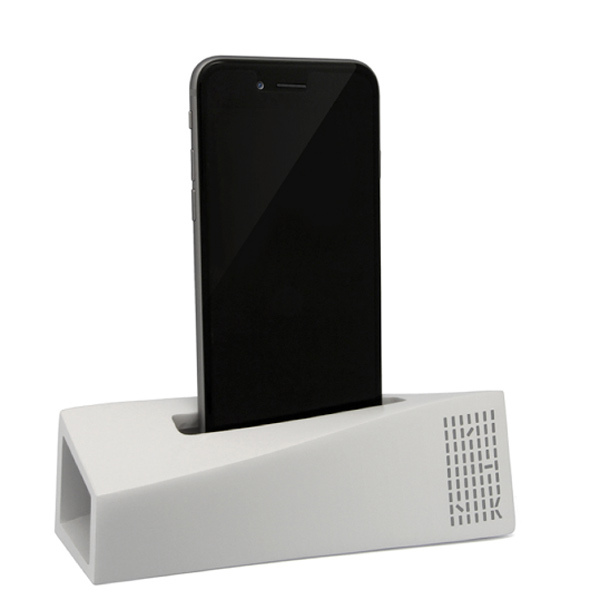 Exclusive Kia Smartphone Speaker will be given to those who will test drive during the tour. 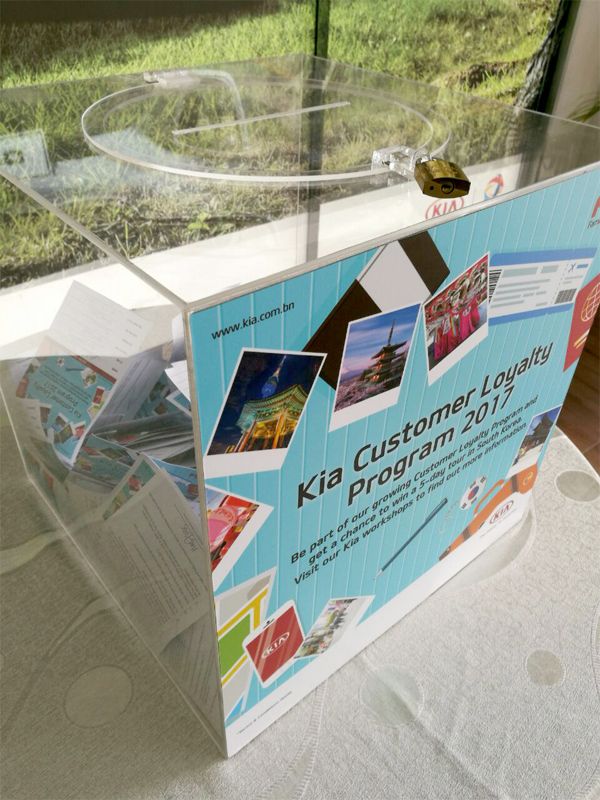 The 2017 Kia on Tour & Test Drive is part of the larger global roadshow project initiated by Kia Motors Corporation in Korea to enable the population in its network of dealers covering countries in the US, Europe, Africa, the Middle East and Asia and the Pacific to see, feel and experience Kia. 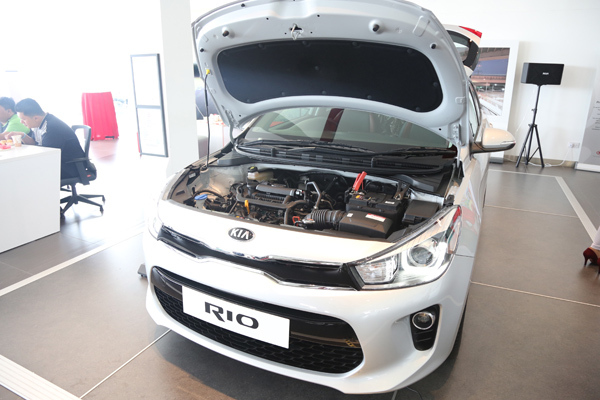 It is part of Kia’s global commitment to surpass customer expectations through continuous automotive innovation. 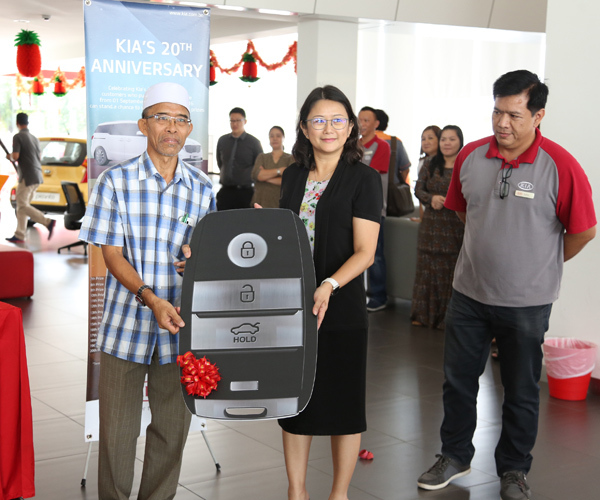 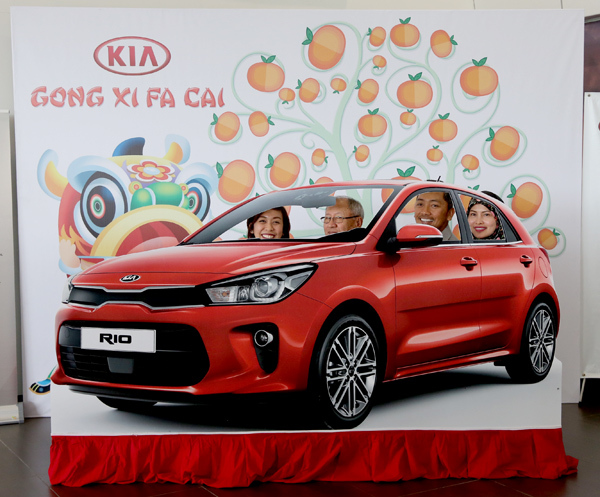 Kia marks its 20th anniversary in Brunei Darussalam through its promotion entitled “Kia’s 20th Anniversary”. 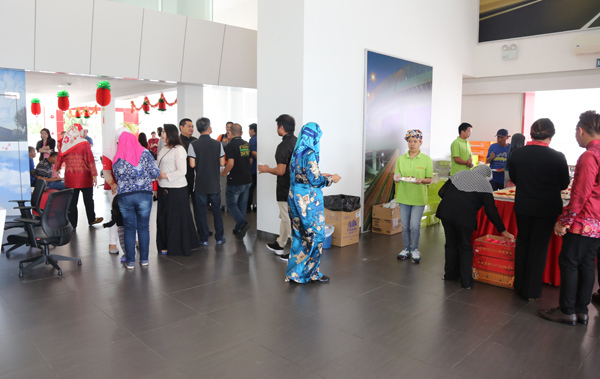 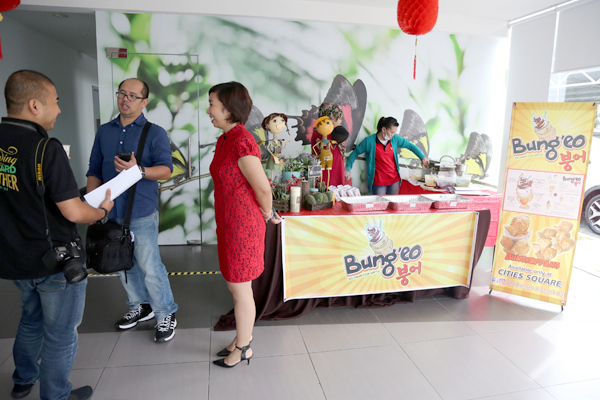 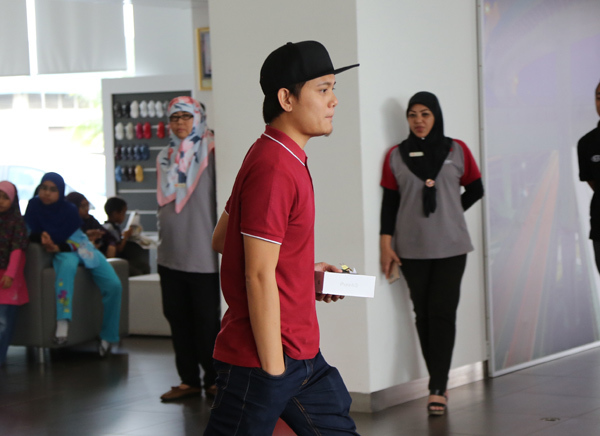 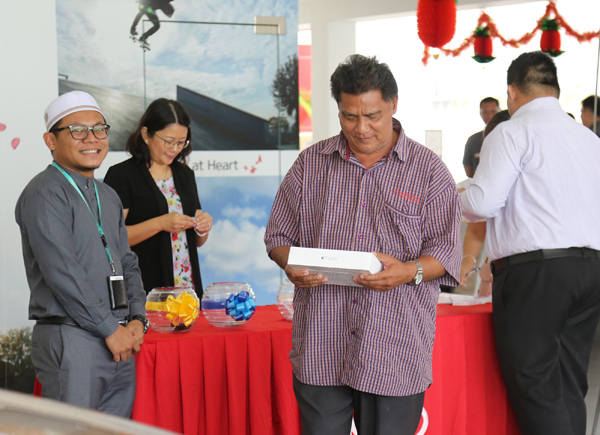 20 lucky customers out of almost 400 participants were shortlisted today, 9 January 2016 at their showroom in Beribi. 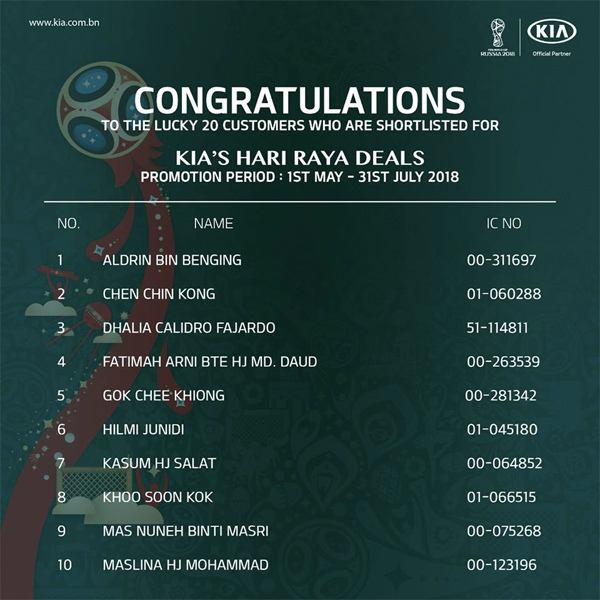 These customers purchased Kia vehicles from 1 September to 31 December 2016. 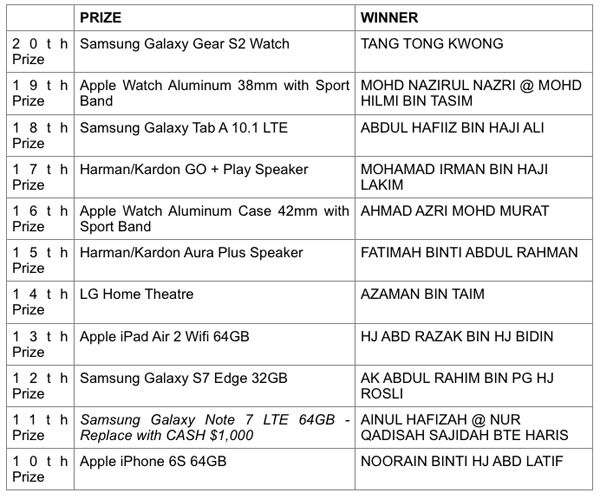 Each of them will bring home a prize on the grand draw slated in Friday, 13 January 2017 (today). 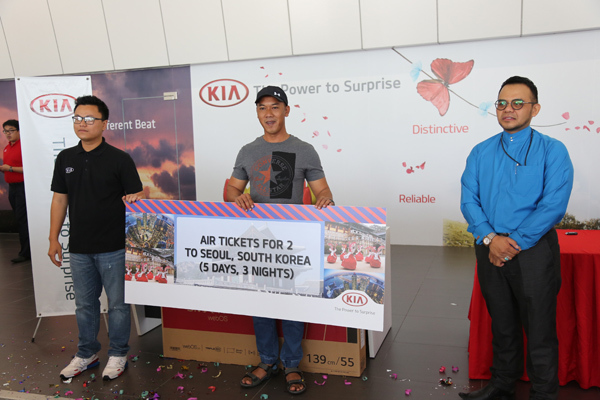 The prizes to be won are Apple products, Samsung gadgets, LG appliances, Harman/Kardon speakers, a trip for two to Seoul, South Korea and a brand new 8-seater KIA GRAND CARNIVAL 2.2L SX (A) CRDi. 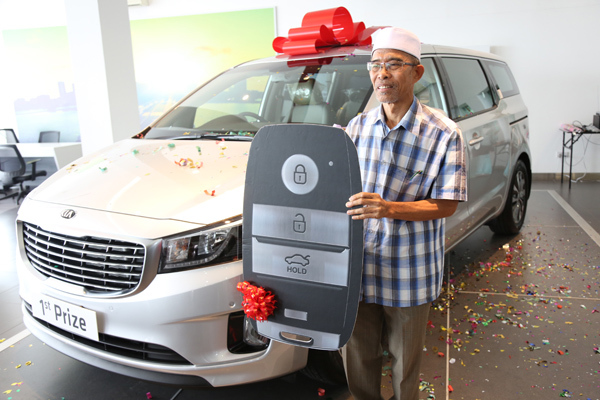 Friday the 13th is a lucky day indeed for Md Rafiuddin Bin Hj Mohammad represented by his father Hj Mohammad @ Hj Ali Bin Hj Puting – he just won a brand new KIA GRAND CARNIVAL. 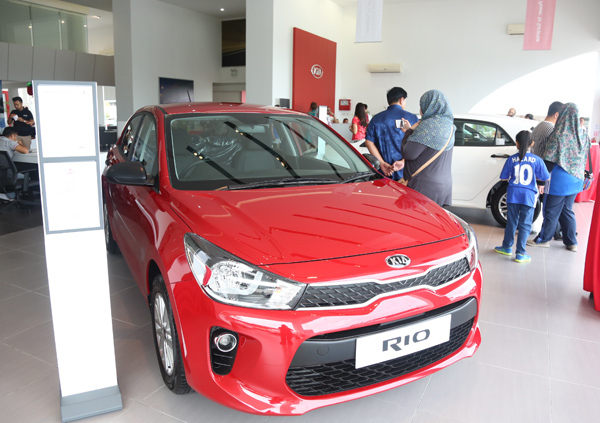 Md Rafiuddin recently bought a Cerato last month at Kia Motors. 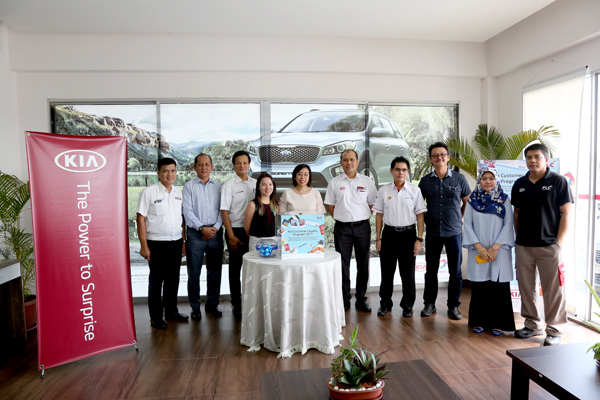 Present during the shortlisting were finance representatives –Hj Mohd Ali Hj Metussin, sales manager from Baiduri Finance Berhad and Asharul bin Norshahari Kamaluddin, assistant marketing and public relations manager from BIBD AT-Tamwil Berhad.